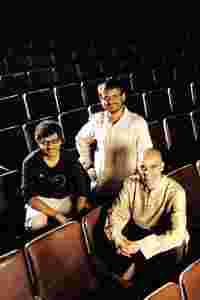 Shape shifters: (from left) Umesh Kulkarni, Girish Kulkarni and Paresh Mokashi at Pune’s Prabhat theatre. The staff and three resident cats at Pune’s Prabhat theatre aren’t used to film-makers dropping by at 9am. So when Paresh Mokashi and brothers Umesh and Girish Kulkarni arrived to meet us there, the staff was intrigued and hurried up their morning chores—sweepers swept the dusty floors, the usher opened the tall, creaking doors of the 75-year-old auditorium, and the projectionist fed the pet felines biscuit and milk. There couldn’t have been a more appropriate place to meet three new pioneers of Marathi cinema—shapers of what could be called the Marathi New Wave. Prabhat theatre has screened Marathi films since 1933, and some of the movie posters preserved in its office, from the 1940s until now, mirror the history of the industry—Sant Tukaram (1936), Pandu Hawaldar (1975) and Shwaas (2004) are just three of them. Gandha has stars, though. Milind Soman and Sonali Kulkarni are the leads in this film about three fractured lives, seemingly disconnected from each other, but for the way the director uses the sense of smell in the three stories. Made famous by Mexican director Alejandro González Iñárritu in Amores Perros nine years ago, the multiple-story narrative is, by now, a common device in cinema the world over, including Hindi cinema. But for audiences who have been used to watching slapstick and family dramas set in rural Maharashtra for more than two decades, it’s a path-breaking format. The audience, consisting largely of middle-aged couples and men of all ages, had filled up half the auditorium when Prabhat’s red velvet curtain billowed up. Before that, some people came up to congratulate Mokashi, who has been in the news for his debut feature film Harishchandrachi Factory, India’s official entry at the Oscars this year. Umesh Kulkarni, whose second film Vihir was screened earlier this month at the Pusan International Film Festival in South Korea, is among the four young film-makers whose Marathi films are going to be screened at the Mumbai Film Festival, which began on Thursday (see box). 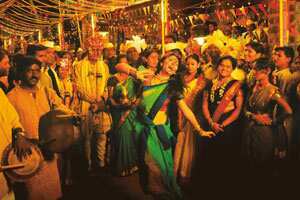 “There is a new resurgence in Marathi cinema. Bright young film-makers are making socially significant films," says acclaimed film-maker Shyam Benegal, who is also director of the Mumbai Academy of the Moving Image (MAMI) that organizes the annual Mumbai Film Festival. Mokashi’s film will be released by UTV Motion Pictures early next year (UTV is also co-producing it); Vihir is AB Corp Ltd’s (ABCL) first Marathi production; Kundalkar’s Gandha has been running in theatres in Maharashtra for the past two months; Satish Manwar’s Gabhricha Paus, a film about a farmer family in Vidarbha, is running in theatres in the US; and Natarang, directed by Ravi Jadav, a Mumbai-based advertising professional, will premiere at the Mumbai Film Festival before releasing in theatres in the last week of December. Jadav, Manwar, Mokashi and the Kulkarnis are a generation of Maharashtrian directors shaped by globalization and the digital revolution; they are familiar with world cinema (Kundalkar says his biggest inspiration is the cinema of Spanish director Pedro Almodóvar and “the fantastic madness that engulfs his movies") and some of them have a strong foundation in theatre (Kundalkar and Mokashi are established playwrights who work mostly in Pune). Unlike directors of the parallel cinema movement of the 1970s and 1980s—the Indian New Wave—who also made powerful films about taboos and the oppressed classes of post-independence India, the new directors of Marathi cinema are not afraid to use humour to show unpalatable truths. Their works are as much about the message as about the way they use the medium. 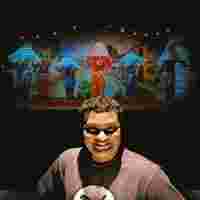 Jadav’s film, which is about Maharashtra’s Tamasha artists, has the technical finesse of an expensive Hindi film. Clever use of camera, background score and art direction lend the local language and milieu a universality, a style reminiscent of Vishal Bhardwaj’s Omkara. “I wanted my film to have an element of kitsch. The frames, the colours and the music are such that it will appeal to all kinds of audiences, especially those used to watching Hindi films with good production value," says Jadav. He says he sees the film as a stepping stone to the Hindi film industry. “My idol is Ashutosh Gowariker," Jadav says. Humour is inherent in most of these films. Mokashi’s film, which recreates the life of Dadasaheb Phalke and his making of India’s first motion picture, Raja Harishchandra, says: “I didn’t want Dadasaheb to be a subject of hero worship. We tend to be in awe of our historical figures. My film is an adventure, a comic adventure of a common man who achieved something uncommon," Mokashi says (see review). Rural Maharashtra is the backdrop for both Vihir and Gabhricha Paus. Kulkarni’s Vihir is a simple but layered tale about two teenaged boys who are cousins. The elder cousin mentors the younger through letters. They meet when the two families congregate at the ancestral home for a wedding—a rambling house with earthen floors, roofs of hay and a well in its courtyard. Family secrets and uncomfortable truths tumble out in the days leading up to the wedding, which also leads the two cousins to a realization about themselves. Girish Kulkarni, an actor who is the co-writer as well as the executive producer of the film, says: “Marathi people are mostly modest, and simple human emotions work best with them. The theme, how society binds the human spirit, is large, but we wanted to bring it out through interactions between the family members…in that language." The Kulkarni brothers used to assist film-maker Sumitra Bhave before they started out on their own. Umesh, a graduate from the Film and Television Institute of India, says one of his role models is Satyajit Ray: “I don’t think of going out of Pune. I know Marathi and Maharashtrian culture best, and unless a subject requires me to make a film in Hindi, I don’t see Hindi films as my next obvious step. A good film will eventually reach out to people." Manwar’s Gabhricha Paus is a dark, compelling film. Manwar grew up and completed his studies in Yavatmal, in the drought-torn Vidarbha region of Maharashtra, the epicentre of farmer suicides. His film, about a farmer whose wife suspects he is going to commit suicide and asks their son to keep an eye on him, is free of clichés, and surprisingly infused with a peculiar brand of black humour. It seems odd that a film about farmer suicides should have its funny moments, but Manwar handles the tragic and the humorous with conviction, and without technical frills. “Some of my uncles are successful farmers in Yavatmal and I have grown up seeing farmers struggling every year. The use of black humour was deliberate; otherwise the story would have lapsed into melodrama," Manwar says. What makes Manwar and his peers unique in the diverse and eclectic world of regional cinema in India? And what are the catalysts of this new wave? Rane adds that the Maharashtra government’s grant-in-aid policy for film-makers has also served as a catalyst. Maharashtra is the only state to grant financial aid to film producers. In 1975, because of the efforts of the late film-maker V. Shantaram, the Congress government in power introduced a tax refund policy for film producers. In the 1980s, the government introduced the grant-in-aid system, whereby producers receive up to Rs20 lakh depending on the level of technology used, as long as the film has a “technical release" of about two weeks in theatres. “That brought in a new kind of producer, from real estate owners to small industrialists, who did not bother what kind of films were made as long as they got the money," says Rane. With the success of Shwaas in 2004, the new talent that had stayed away from Marathi cinema because of the quality of producers realized that the government subsidy could be used to make their kind of cinema. In the last three years, budgets for Marathi cinema and the number of films produced have increased. According to Ajay Sarpotdar, president of the Akhil Bhartiya Marathi Chitrapat Mahamandal, an apex body of Marathi film producers, the average budget of films, especially after Mahesh Manjrekar’s Mi Shivaji Raje Bhosale Boltoy, which was a huge commercial success, has gone up to about Rs2.5 crore from less than a crore around three years ago. Some films have been made for as much as Rs4 crore, Rane says. In 2008, around 118 Marathi films were made and around 80 released; and this year, despite the swine flu epidemic and two elections, around 50 films have been released so far. “Our distribution network is still very inefficient because of which producers lose money. In the last two years there was a loss of about Rs300 crore in the entire industry. But with big banners supporting the new kind of cinema, the economics as well as quality of films can be expected to change," says Sarpotdar. Over the last two decades, the best cinema in regional language has emerged from the south— largely Tamil Nadu and Kerala—and West Bengal. Marathi films began to command attention after 2004, when Shwaas was selected as India’s official entry at the Oscars. Since then, the new idiom has been evolving. But it’s more of a revival than a revolution—a revival of the socially engaged Marathi cinema that began in the 1930s, soon after the first Indian talkie, Alam Ara (1931), was released. The works of illustrious film-makers such as Shantaram, Phalke, Vishnupant Damle, Sheikh Fattelal, Baburao Painter, Acharya Atre and others are landmarks in Indian film history. In the decade since the early 1970s, Dada Kondke’s satirical comedies dominated theatres, giving way to a brand of mindless social comedy. Two actors, Ashok Saraf and Laxmikant Berde, became the faces of this genre, which captured audiences in Mumbai and Thane, and from Pune to Kolhapur. In the 1990s, the distribution system improved thanks to two producers, Sachin Pilgaonkar and Mahesh Kothare who released their films in the Vidarbha and Marathwada regions—and Marathi films became more accessible all over the state. But even recently, Hindi film-maker Gowariker, a Maharashtrian, told Lounge in an interview that he wanted to make a Marathi film, but Bollywood had spoilt him. “There’s no marketing and the budgets are too scanty," he had said. This was before the Marathi New Wave reached cineastes in London, Pusan and Toronto. The real test for the new lot now, as Mokashi says, is in the realm of craft. “In Harishchandrachi Factory, one of my biggest challenges was to not depend too much on technicality. The moving camera can really spoil you. I wanted to hold a frame, let the characters move, speak and act." It’s a skill that was also seen in directors of Romania in the early 2000s—and the movie world didn’t take long to notice them. Blessy Augustine in Mumbai contributed to this story.